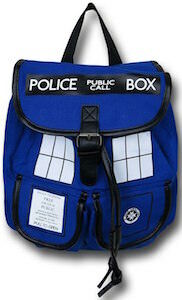 If you want a cool Doctor Who backpack then you should be checking out this bag. The backpack is 12 x 17 inches and has cool colored patches in different blue’s and white and on the patches it shoes Doctor Who details like K9, Sonic Screwdriver, The Tardis, and much more. 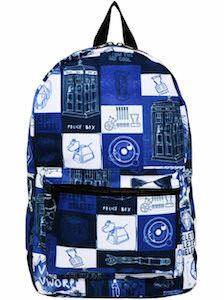 So now you can have a cool Doctor Who backpack that you can use for school, work and other cool adventures. And as it has such a fun print you have always something to look at and bring back memories off some cool Doctor Who adventures.